With its sparkling blue waters and pristine white sand beaches, Poipu is the jewel of Kauai’s Sunshine Coast. Poipu offers much more than languid resort living and fruity cocktails. Although it is now primarily a vacation destination, the area has a rich cultural and historical legacy. That history is what has shaped Hawaii into what we know it as today. Poipu is located at the southwestern tip of Kauai island. This part of the island is mostly sunny and dry throughout the year (as are the southeastern parts of all of Hawaii’s islands). That alone makes it an ideal vacation destination. But Poipu has been a hub of activity on Kauai for well over 150 years. Poipu is part of the larger Koloa district of Kauai Island. Native Hawaiian historical sites in and around the area date as far back as the 15th century (the 1400s). Archaeological studies have uncovered a number of heiau (sacred temple), taro patches, and fish ponds in the region. Some of these sites have been restored and are accessible to the public. Among them are the Kaneiolouma and Kihahouna heiau, now under the stewardship of native Hawaiian cultural organizations. Poipu became a port of call during the whaling heyday of the early 1800s. Eventually, Koloa (just two miles inland) became the sight of the first working sugar mill in Hawaii. The sugar industry would come to dominate Hawaii’s economic and political landscape until the late 20th century. Nowadays, tourism is king. It’s no wonder, as Poipu and its environs are home to some of Hawaii’s most beautiful beaches and coastal areas. And occasional visits by Hawaiian monk seals. 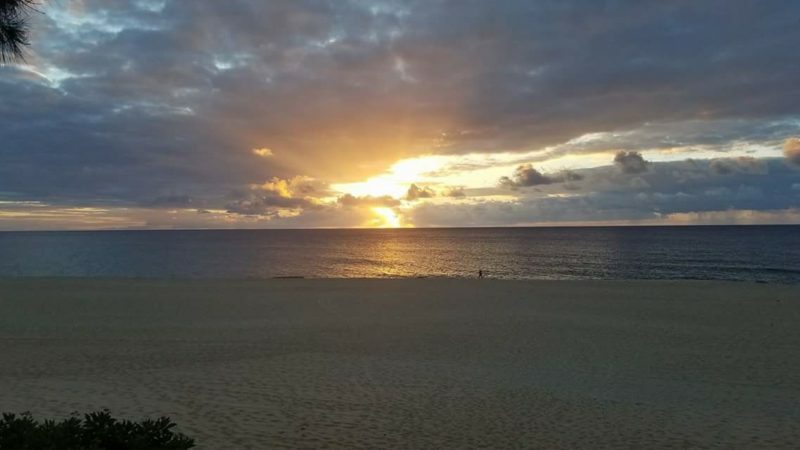 Poipu has been named one of America’s “Top Ten Beaches” by the Travel Channel because of its beauty, accessibility, and best-in-the-world ocean safety resources. And there are other nearby beaches that are equally wonderful. Shipwrecks Beach is at the eastern end of Poipu, fronting the Grand Hyatt. It is an ideal sunbathing spot with a broad sand stretch, and public parking and restroom facilities. There is no lifeguard station, though, and an often powerful shorebreak demands that beachgoers mind their personal safety. The beach is named for the long-ago disappeared hull of an ill-fated vessel that once haunted the shoreline. 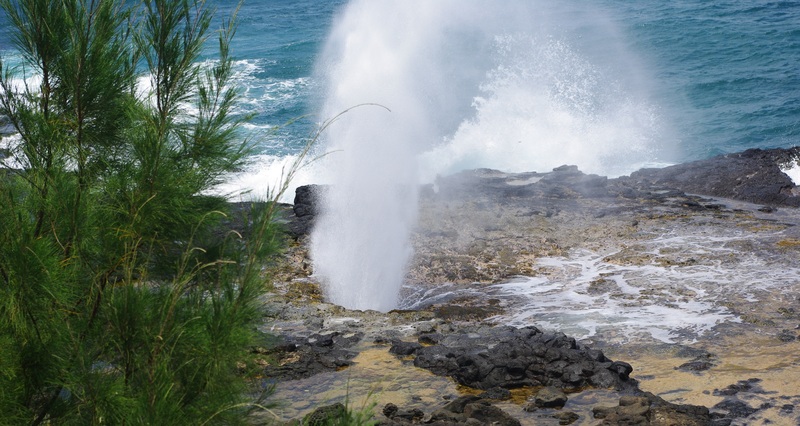 At the western end of the Poipu area is Spouting Horn. A lava tube channels water and air with each incoming swell, sounding a musical and guttural tone felt in the bones and shooting a powerful geyser into the breeze. It’s a rocky coast without a lifeguard. Best to watch and listen, as there is no sandy beach to lay out on or Ocean Safety personnel to look after you. 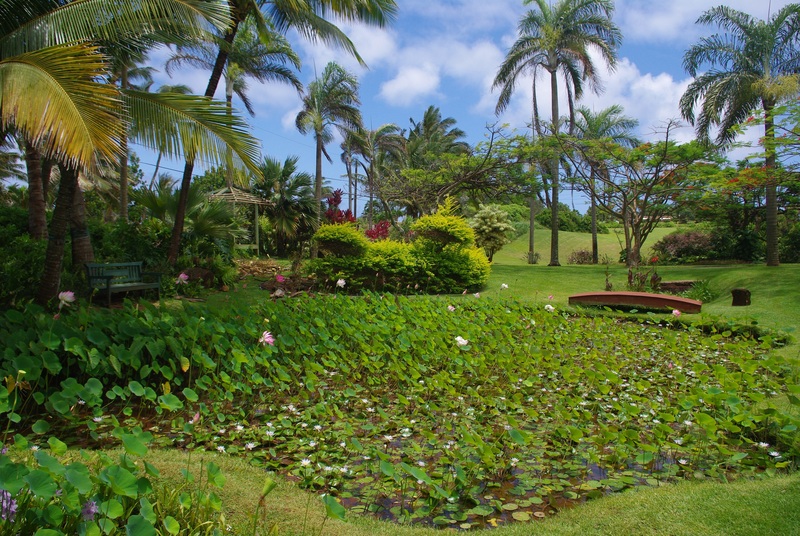 Beyond the sea, the Poipu area is home to several botanical gardens dedicated to the preservation of native plant and wildlife species facing the real prospect of extinction. The Allerton Garden, McBryde Garden and others in the area offer guided tours and workshops. Their lush landscapes of fruit trees, taro patches and bamboo forests are sublime, and provide an immersive experience into Hawaii’s natural world. Waimea Canyon is only about an half-hour drive from Poipu. It’s easy to end a day of hiking the “Grand Canyon of the Pacific” with your toes in the sand under a molten sunset. Military families can access the accommodations at Barking Sands Beach, home to beautiful coastlines and the world’s largest strategic missile range. Accommodations in Poipu range from economy to luxury. There are world-class golf courses, too. It’s easy to spend a week in Poipu. And it is the perfect place to base a Kauai vacation.